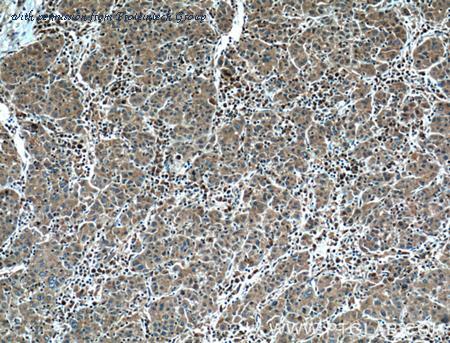 Cell Proliferation Induced by IL-2 and Neutralization by Mouse IL-2 Antibody. 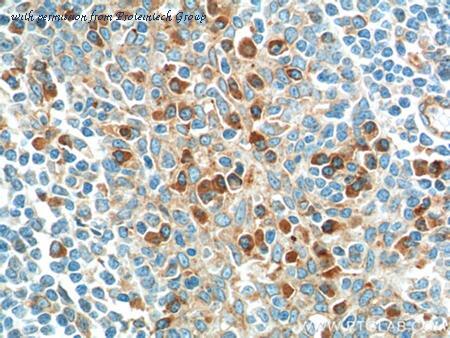 Recombinant Mouse IL-2 (Catalog # 402-ML ) stimulates proliferation in the CTLL-2 mouse cytotoxic T cell line in a dose-dependent manner (orange line), as measured by Resazurin (Catalog # AR002 ). 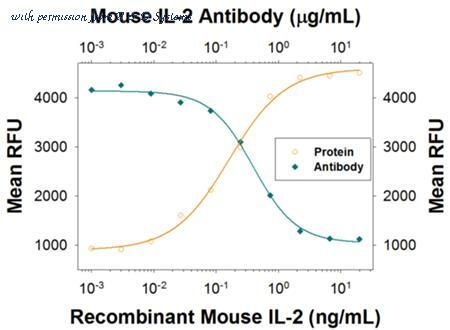 Proliferation elicited by Recombinant Mouse IL-2 (1 ng/mL) is neutralized (green line) by increasing concentrations of Rat Anti-Mouse IL-2 Monoclonal Antibody (Catalog # MAB702). 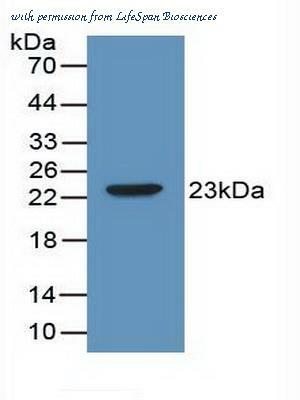 The ND50 is typically 0.125-0.75 ╡g/mL. 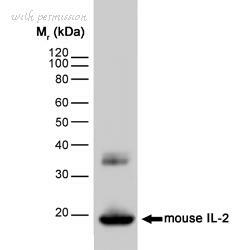 Western Blot; Sample: Recombinant IL2, Mouse. 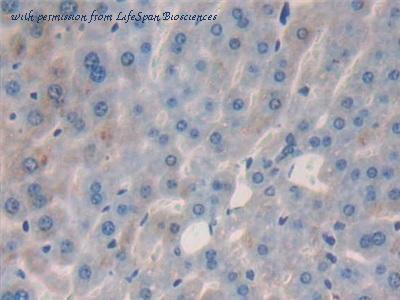 WB of IL2 antibody. 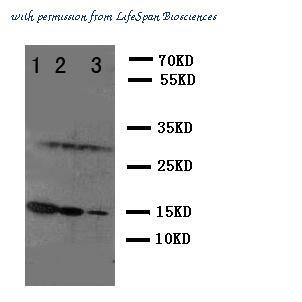 Lane 1: Recombinant Mouse IL2 Protein 10ng . Lane 2: Recombinant Mouse IL2 Protein 5ng. Lane 3: Recombinant Mouse IL2 Protein 2.5ng.